I think Apple Music will be a net positive for musicians, and it will fundamentally change the business model for music streaming services. Spotify, the most successful streaming service to date, has roughly 70 million members, only 20 million pay a monthly fee for the service. This means only 28% of its customers are willing to pay for music to avoid listening to the commercials; therefore, most people expect music to be free online. Expecting stuff, especially music, to be free online is so ubiquitous that even musicians refuse to pay for music. For example, I teach at a music school in Atlanta. In one of my classes, I asked my students how many use Spotify; half of the students raised their hand (approximately 10 students). When I asked how many people pay the monthly fee, only 2 students raised their hands. If musicians aren’t willing to pay for music, we’re in trouble. I believe Apple Music will begin to change this perception by offering better connectivity to the artists, convenience and cross platform continuity at a low price ($9.99 per month for an individual and $14.99 for a family plan). It will be the easiest, most convenient way to download, stream and connect with artists. 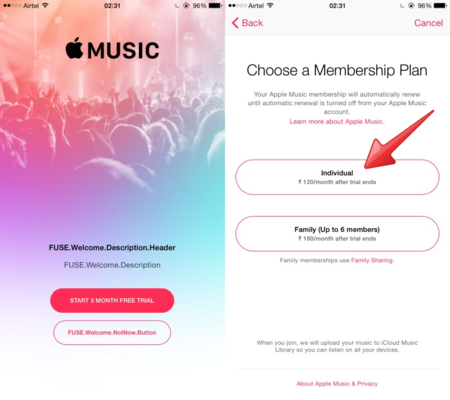 Most importantly for artists, Apple Music doesn’t do if for free. THERE IS NO FREE STREAMING OPTION ON APPLE MUSIC. By insisting customers pay for music, Apple Music will began to move the needle away from free streaming toward a paid service model. This is what brought Taylor Swift onboard. Bravo Apple! The question is, will it work? So far, the jury is still out, but according to an article in the New York Post, “Apple Music has been a surprising success”. 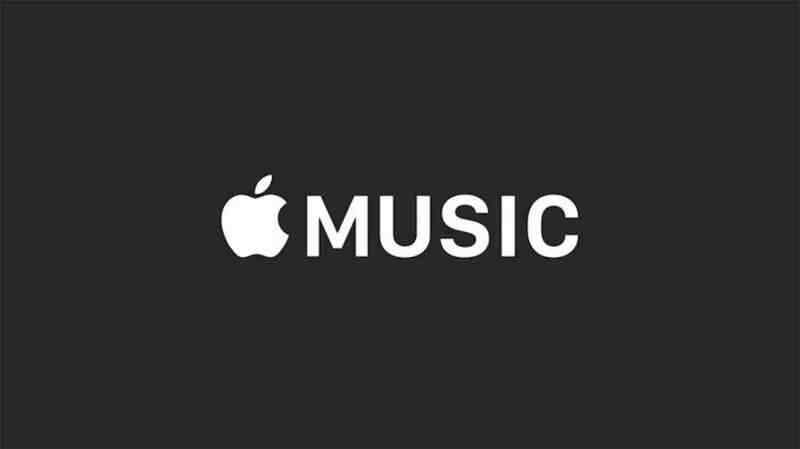 If Apple Music is successful, it will represent a major shift in the music industry moving customers away from expecting music for free and toward paying for music once again. This can only be good for musicians. If you’re a musician, you are asking yourself how much will Apple pay me? Well the first three-month trial period is not over yet, so we don’t have real numbers to work with, but we can get a general idea by comparing Apple’s business model to other services. In general, the three main players Spotify, Apple Music and Google Play calculate artist revenue in a similar manner. Here’s how they do it. First they take 30% right off the top. Artists share roughly 70% of the gross revenue, not bad. For the sake of round numbers, let’s say Spotify brings in $100 a month through their paid service. Artists get $70 and Spotify keeps $30. Then, they divide your monthly streams by the total number of streams on their service. In other words, if your music streams 10 times and the total number of streams is 100, your percentage is 10%. So you get 10% of $70 or $7. In reality, the numbers are much bigger of course. Let’s say the total number of streams is 1,000,000 and your streams are roughly 1,000. Divide 1,000 by 1,000,000. Your percentage will be .001 percent per stream. Multiply .001 times 70% of the gross revenue to calculate your total earns. The nice thing about Apple Music is they will pay artists 71.5% instead of 70% according to an article in Business Insider. Artists will also receive a slightly higher percentage of the gross from overseas sales as well (roughly 73%), nothing to get overly excited about, but an increase nonetheless. Bottom line is Spotify pays artists roughly .006 to .0084 cents per stream. Apple Music, with its slightly higher percentage, will likely be a little more, but probably not a lot more. The real advantage for artists is it will begin to change consumer expectations from free to paid streaming. A net win for artists. Once consumers are willing to pay for music again, musicians can begin moving toward increased revenue. Has the industry has turned the corner? Tell me what you think and please share. My Latest Podcast: How to write a dramatic melody for a TV series like The West Wing. I discuss how the melodic structure of the theme song creates a dramatic prelude to the show. Contact me at http://www.davidmitchelldma.com for music composition lessons. Share and comment.